The SNES has some of the best RPGs ever developed. Final Fantasy IV and VI, Chrono Trigger, Earthbound, Shadowrun, Secret of Mana, Secret of Evermore, and many more. 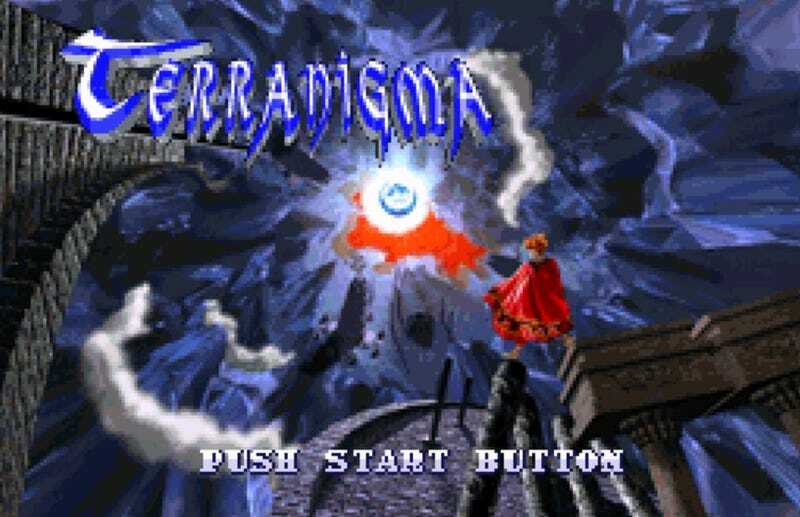 But after my recent interview with Alan Weiss about Secret of Evermore, many readers pointed out a game I'd never heard of called Terranigma as one of their favorite RPGs. Considered part of the Quintet Creation Trilogy, it was the culminating tour de force from the Japanese studio behind games like Actraiser, Illusion of Gaia, and Robotrek. It was never released in North America (though it received a translated version in PAL), explaining why most of us here in the States, including myself, never even heard of the game, much less played it. For the past week, I've rectified that situation and wanted to explain why I think this is one of the greatest SNES RPGs ever made. As the game is huge, I've split this article up into two parts and I'll be covering the first two chapters of the game here. There are a number of spoilers, though I'll try to keep those to a minimum. At the core of every phenomenal RPG is an amazing story. Terranigma is about the rebirth of the world. But it's also about the follies of humanity, its relationship with nature, a philosophically introspective probing of the quandaries of creation that have been with us since the beginning of our history. Slowly, Earth is being repopulated by your actions, even though your initial tampering with a mysterious box is what caused all the mishap in the first place. I wondered if the director, Tomoyoshi Miyazaki, and the team were indirectly making a deeper statement about the creation of art, whether in the form of literature or gaming. We are the misbegotten children opening the digital box and unleashing a universe of which we must help guide into inception. They're leading us along the path like the elder, helping us to see that more is at stake than just our whimsies. In some ways, the rebirth of all the islands reminded me of another game I love, Dragon Quest VII, and that's in the best way possible. Many RPGs have silent main protagonists who barely speak, passive heroes who rise to the challenge but are otherwise dull blanks. Terranigma's main character, Ark, is a troublemaker and his reputation precedes him. Everything from the exchanges he has with the townspeople to his interaction with his love interest are anything but typical. I liked his rebellious and brash attitude, the fact that he ate things without permission, broke things all the time, and caused havoc wherever he went. Those who follow too obediently never change things and it's his willingness to break all the rules that sparks off the adventure in the first place. It's one of the rare RPGs where a character isn't thrust into a situation without any choice. Ark is the one who unleashed Pandora's Box for no other reason than mischief and his wanting to keep his word. Terranigma is an action-RPG and the combat system has enough mechanics to keep things challenging. You can jump, perform a spinning aerial attack in the air, a rush thrust that can be lethal, and even take a defensive stance via the R Button, nifty against projectiles. Pressing the attack button repeatedly also unleashes a volley of quick thrusts that can be deadly for foes. Magic Rings in conjunction with magirocks are a system of magic that makes you really consider if you want to perform the spell because you have a finite number you can use for the entire game. The battle animation is superb and the boss fights are complex enough where it requires you to utilize your skills in different ways. I just love rush thrusting all the enemies in my path. I've noticed many modern RPGs have atmospheric music that, while it works great in the context of the gameplay, is often times forgettable. Terranigma has a soundtrack that complements the narrative, weaving together somber and meditative pieces that impress players with the tragedy of a world wracked by destruction while struggling towards rebirth. Miyoko Takaoka and Masanori Hikichi haven't just created melodies. They've woven together a tapestry, a language that speaks just as powerfully as the story. One song in particular stands out; whenever you pass the challenges of a specific tower, people in your village are unfrozen, and it dissolves into the world map, a mix of hope and sorrow. They captured the enigma of Terranigma perfectly. While geographically, the first half takes place on a primordial Earth, the variety of the levels makes for some creative gameplay choices. From the gigantic Ra Tree infected by a poisonous parasite, to the dessicated Zue that undergoes massive terraforming with rain, and even the underground towers with their shrines to creation, every area feels distinctive, posing a whole new suite of trials. Ark even learns to swim early, and every dungeon is physically transformed by his actions, peeling away the layers, opening new ground. I could go on about the art style (an anime aesthetic with Earth tones), but I'll let these screenshots speak for themselves as you watch the world reforming in front of your eyes. Fiat lux was never so literal. The developers clearly wanted to tell a more meaningful story than the typical, let's save the world and make everything okay. Case in point, the goat in Tibet. At one point, you enter a cave and it's slippery so you slide down, crashing into the mountains and causing an avalanche. You're buried in the snow and when you wake, there's a female goat next to you. You stand up and notice another goat, dead. It's her husband, killed by the avalanche. As you're stuck in the cave (myself feeling guilty), it turns dark, and it's pitch black. You two talk, and when it's morning, she realizes you're both hungry and need to eat. I was expecting some snack or maybe something she'd dug up. She offers you meat from the body of her husband. Ark is torn by her willingness to sacrifice her husband to save them, but can't bear the thought of eating from his body. That moment just devastated me emotionally. When they finally do break out of the cave, they come across an even bigger wall. Ark can escape, but the female goat obviously can't. You have to leave her behind (most likely to death) and that was even harder than her willingness to sacrifice her husband. It's these tough moments that have made Terranigma so special and why I can understand the reason the game has been a favorite for so many. I'll continue the second part of this list in the forthcoming weeks. Updated 4/3/15: Including link to Part 2. Here's Part 3 of the Retrospective. Peter Tieryas likes old RPGs, especially ones that ponder the meaning of life. He reflects on meaningless questions at tieryas.wordpress.com.